User experience is one of the single most important factors that can impact your app’s success – in fact recent data indicates that it is your usability and not the number of downloads that will help you crack the Apple App Store rankings. ‘Delivering quality mobile applications requires that organizations have access to a wide array of devices and perform many types of tests. To fulfill these needs, organizations must use several testing solutions’. With so much competition for mobile apps. The apps that are left standing tall throughout it all are the ones who undergo thorough testing. Your mobile app strategy needs to intertwine fluidly with a testing strategy. This is not web testing on a desktop with a few different Operating Systems. These are platforms, different devices and different markets; Among other things of course. In order to create a comprehensive mobile strategy, you must include various elements for testing as well as network infrastructure. You need to narrow down your target devices and employ a coherent combination of testing tools, both automated and manual to prepare for non-functional and functional testing. This is key to meeting both budgets and timeliness for releasing your app. Testing of various network conditions that primarily simulate Wi-Fi network connectivity as well as cellular. With so many different network protocols, each with their own capacities, functionality and interoperability, you must decide which are the most prominent network types to test based on your demographic. Choose the devices to test that you ultimately feel will be used by your target market and utilize physical devices and simulator testing so as to attain maximum coverage. Not all devices are created equal. Apps that work on a Samsung android phone may prove to be buggy on a Nexus. You must select the devices that are most popular among your target audience. These can run the range of functional, performance, security, and/or compliance testing. Find out what type of testing is common in your app’s space. Functional testing involves testing the functions of an app such as login, search and other common features. Performance testing ensures that your app is prepared for peak usage periods. Security testing ensures that your app is not exposed to malicious attacks by hackers and probes the app for the most common vulnerabilities. Compliance testing makes sure that your app conforms to marketplace guidelines such as Apple App Store policies for example. Now that we have spoken about what type of testing elements need to be part of your test strategy, let’s discuss exactly what makes mobile application testing particularly challenging. Basically, this could be summed up with any of the following words: many, diverse, multitude, disparate, plentiful. The plethora of devices and operating systems, in particular those having to do with Android platform make it all the more difficult to please everyone with bug free apps and a smooth user experience, but it can be done! The market is flooded with devices from manufacturers such as Samsung, each with their own methods of input (Touch, QWERTY, swipe) and their own capabilities. The diversity of mobile platforms out there each with own its own operating system (RIM, Android, iOS, Windows Phone) translates to the different limitations that mobile testers need to be wary of. If you need to test a single application on multiple devices that are running on the same platform, it poses unique challenges to testers. With 400 plus (and counting) mobile network operators globally, some of which use common network protocols such as GMS and CDMA, you have a troublesome group of less common network infrastructures such as TD-SCMA and FOMA. Coupled with any thorough testing strategy, an in-app analytics tool should be employed. Using a visual in-app testing analytical tool you are provided with visual analytics that empowers you to gain insights into how users are interacting with your app and the friction points they are encountering. By using a tool that offers such features as user recordings and heatmaps you can see each actions that your users are doing and understand exactly how they are using your app, what problems they are experiencing and gain knowledge on how to fix them. Basically, you are seeing the app through your users eyes. 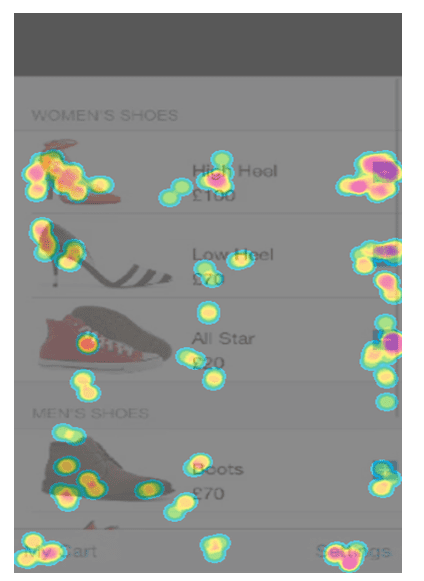 By utilizing heatmap technology you can view all the gestures (pinch, swipe, touch) users are performing on specific app screens. From this you will learn which specific elements of the app your users focus on the most and which gestures did not trigger any response in the app. These features are highly recommended to test for hiccups related to the user experience. Native apps that include monetization (such as m-commerce) are a must for this type of testing. It is not just about bugs that cause crashes. It’s also about leaving your money on the table when people bounce from your site, most never to return. Smart Insights is a blog that gives “actionable marketing advice”. You can read this article and more on their website. Did testing help your app development and marketing?